Hi! See - we weren’t kidding. Red Friday is just getting cranking!! WINE #2! …actually one more word...wait until you see what’s next!! 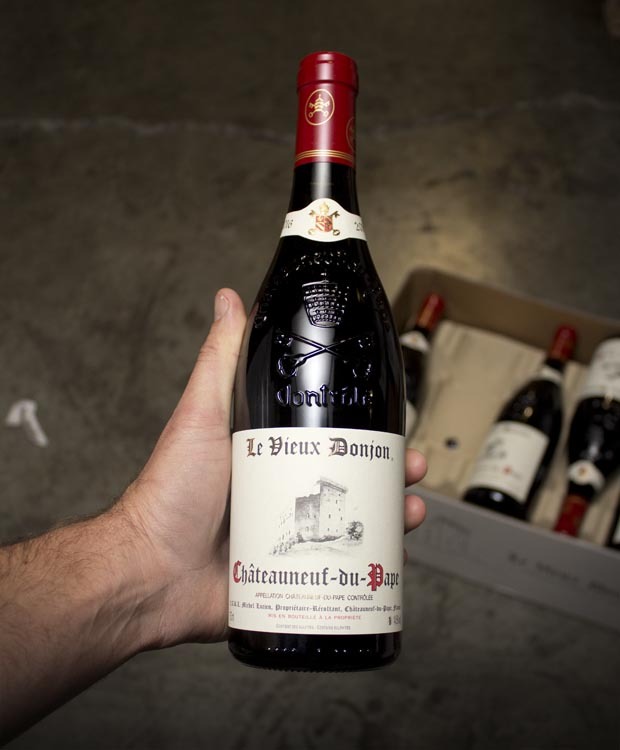 Notes of sweet kirsch, currants, garrigue and while pepper all emerge from this medium-bodied, elegant and balanced Châteauneuf du Pape that shows the more forward, mid-weight style of the vintage. Le Vieux Donjon is a fairly new winery by European standards, formed in 1966 by Marcel Michel. Marcel's daughter Claire Michel, who is now Claire Fabre, as she changed her name when she married Adrien Fabre of Domaine la Florane and Domaines de l'Echevin, manages Vieux Donjon along with her brother Francois Michel. Claire learned wine making here in Napa at Harlan Estate. The family's holdings have a huge portion of old vines with a third being over 100 years old. Some of their holdings are also in the sandy soils next to Rayas. all types of classic meat dishes, veal, pork, beef, lamb, duck, game, roast chicken, roasted, braised, stewed dishes, barbecue, sausage, cassoulet and cheese. Vieux Donjon is also good with Asian dishes, hearty fish courses like tuna, mushrooms pasta, eggplant and tomatoes.